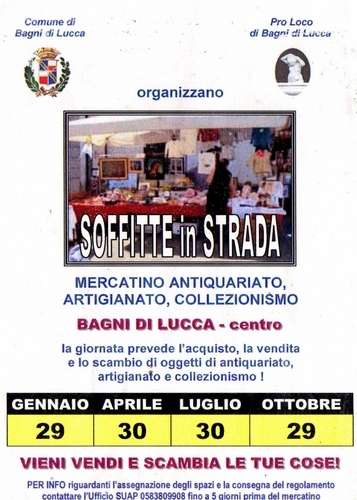 One of Bagni di Lucca’s most successful ventures is the quarterly ‘soffitte in tavole’ (attics in the street) sales of second-hand and antique items. There are also craft stalls. The weather last Sunday, although crisp, was sunny and the stalls were well-attended. I almost fell for a mandolin from Catania, Sicily as I thought it was thirty euros. I looked again and realised that it was three hundred instead. I managed to bargain it down to two hundred and I’m sure it was a bargain at that price – I just don’t go around with two hundred euros in my pocket. 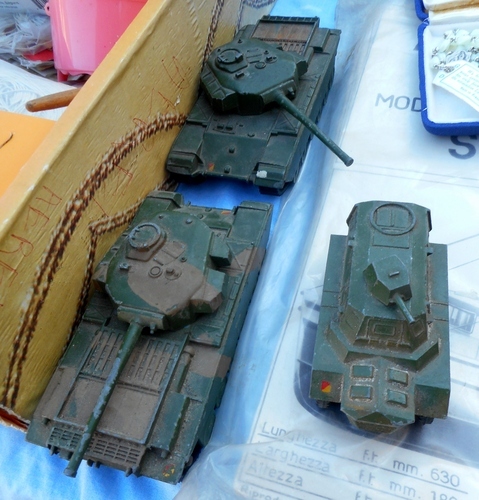 Instead, I managed to get an old Dinky toy for five euros, which can’t be bad. Lucca has a newish trade fair and exhibition complex and it’s easily reached from near the city’s autostrada exit. 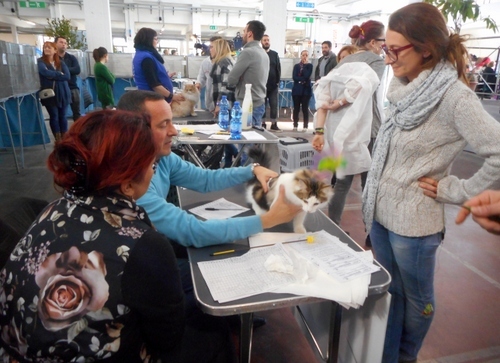 Housed in a refurbished ex-factory building it hosted a cat exhibition organised by ANFI (Italian National Cat Association) last weekend. I could not resist and headed to Lucca’s ‘polo fieristico’. There was a competition for the best cats in various categories. There were talks about how to look after one’s cat and even train them how to use the loo and avoid having to clean cat litters! There were stands selling cat requisites from food to shampoo to cat-hammocks. I was particularly impressed by the recycling of vegetable market containers to produce cat baskets. Every cat-lover must have been surely well-pleased to attend the show. As I arrived around mid-day I started to feel hungry. Fortunately there was a lunch stand specialising in truffle products. I could not resist! I got there in time. After 2 pm the queues started and they became rather long. Competitors and breeders came from all parts of Italy and, indeed, the EU. I was amazed at the devotion so many people give to cats. Well, not so amazed: cats are ever fascinating – and mysterious too. As I returned to the parking I met up with two magnificent Spanish greyhounds. Amazingly warm and clear days are still with us in the heart of winter. I checked the long-range weather forecast and it seems that the rough weather will finally reach us in February. It’s an ideal time for walking as the air is crisp and I took advantage of it to reach the top of Monte Bargiglio where there is an old watch-tower erected by the Republic of Lucca. I’ve described this structure at https://longoio2.wordpress.com/2014/10/15/the-eye-of-lucca/ and it’s worth looking at that post as it shows the tower before recent work on it was completed. The views from the tower remain as spectacular as ever but the entry to it has changed considerably and I’m not entirely sure whether it’s for the better. I appreciate the replacement of the old wooden rails which prevent one from descending into the depth of the steep ravine on one side. 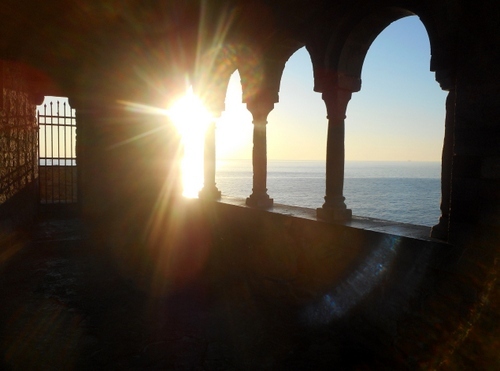 I do miss, however, the raw reality of the entrance to the old watch-tower where one could take pictures of the surrounding views through the little windows. Instead, there are now well-graded steps leading up to a purpose-built metal structure which incorporates a staircase and a viewing platform. It’s quite impossible to go down to the interior although certainly the panorama from the platform is splendid. This wasn’t just my view (sorry!). Shortly after I had arrived a party of three came and pronounced the same judgment. On the other hand, new signage and conservation of this primeval internet communication hub has eased the access to it. Restoration of any monument involves often highly debatable decisions. How far should one go? The Arthur Evans reconstruction of parts of the palace of Knossos in Crete using inappropriate material such as concrete is definitely passé but will future generations regard the viewing ‘platform at the Bargiglio tower a little over the top? 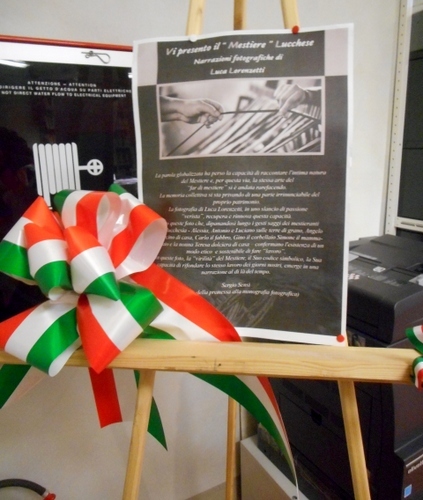 A truly moving ceremony took place last Monday in Fornoli’s Peace Park. At 10 am in a freezing morning, to which we are now accustomed, a commemoration of Bagni’s own child victim to the Holocaust, Liliana Urbach who died aged just fifteen months in Auschwitz, took place before a considerable gathering of mayors from adjoining comuni and several citizens. I found a note written in 2011. I was telling the story of Liliana Urbach (1942-1944), the only citizen from Bagni di Lucca who died in Auschwitz. I wrote it because many seemed to have forgotten about her. I myself knew about her only at the end of the nineties thanks to a journalist from the ‘Tirreno’ newspaper and from a report by Lucca’s Resistance Institute, when Bagni di Lucca dedicated a Peace Park to the little girl. However, little was said about the incident. An expert in history even said to me that it was an exaggeration to define the Bagni di Lucca Cardinali villa as a concentration camp (the old Terme hotel) as if it were somewhat exaggerated by a particular ‘political’ viewpoint. Not so, there are documents to prove it. 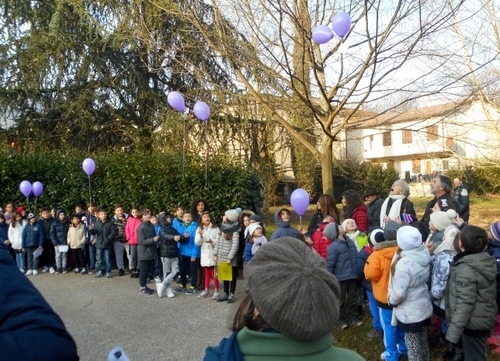 I’m again publishing the note because I’m satisfied with it: in recent days some primary school classes have gone to the park to remember Liliana. Teachers, thanks so much! 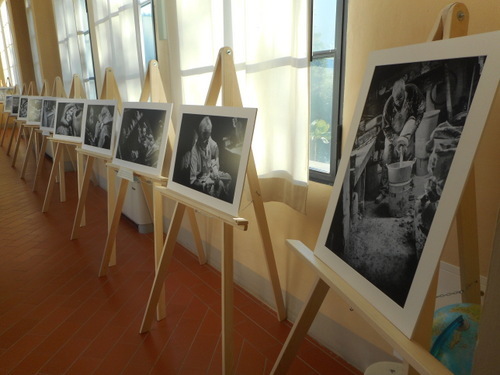 Tomorrow is Holocaust Remembrance Day, and I want to remember a story from Bagni di Lucca. It’s the story of Liliana Urbach and her family. The Urbach were Jews who’d fled from Vienna to avoid racial persecution. 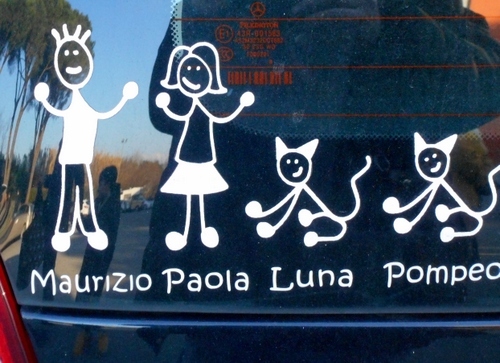 Leo Urbach, and his wife Alice and his son Kurt 4 years old, arrived in my country in 1942, and took lodgings in Via Vittorio Emanuele, Ponte a Serraglio, Liliana was born here on October 19th 1942 and was registered as a citizen of Bagni di Lucca. In late 1943, after an order of November 30, Jews in the Lucchesia began to be rounded up, and a provincial concentration camp was opened at Villa Cardinali at the Terme Calde of Bagni di Lucca. It was a transit camp for inmates and aimed at their deportation to the death camps. The Urbachs were arrested and taken to the concentration camp at Villa Cardinali. In January, a convoy set off with about ninety Jews, including Leo, Alice, Kurt and Liliana Urbach. They were taken to Florence, then Milan. From here on January 30th of 1944 they left by truck for Germany. Leo, pushed by his wife (who told him “get out, they won’t do anything to me and the children!”) jumped from the truck and fled. He was later recaptured and interned in a prison camp, from which he was freed at the end of the war. Alice, Kurt and Liliana, arrived at 6 am on February 6th at Auschwitz. By noon they had already been murdered in the gas chambers. Liliana was 15 months old. When I remember her, I think of the fact that she never managed to attend school, never kissed the boy of her dreams, never got her driving license, never was awed before a flag …… she didn’t die in her bed while the children knocked back their tears so as not to scare her. Maybe she didn’t even die with her mum, because the Nazis often divided their prisoners by age. I hope she wasn’t frightened and that her brother Kurt took her by the hand. As if to make the occasion even more poignant the children from the local primary school participated. The headmistress gave a little speech. A bouquet was laid before Liliana’s commemoration stone by a survivor and two children. Then violet (the colour of Tuscany) balloons were let loose to rise into the blue skies above. 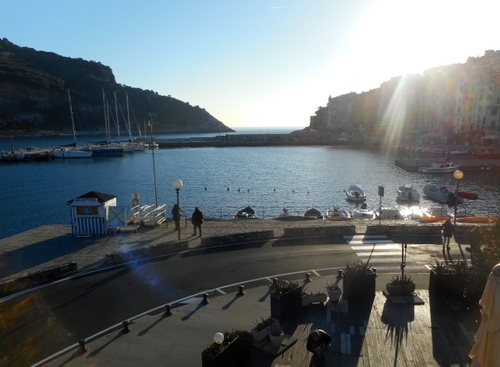 …..lest we forget that children are still being killed in countries near the same Mediterranean sea that washes Italy at this very moment….. Che non si domentichi mai!!! Lux Perpetua Luceat Eis.